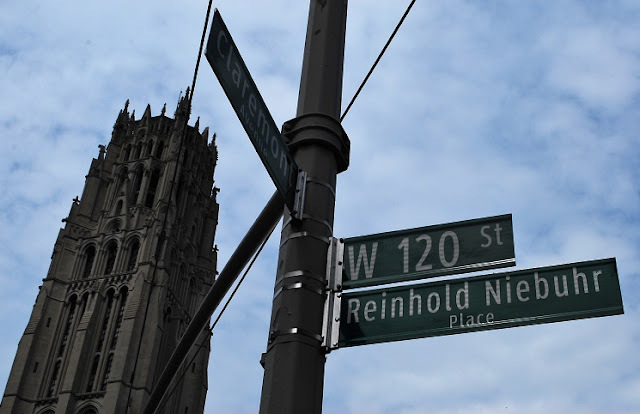 Reinhold Niebuhr Place is there for a reason. Sometimes referred to offhandedly as the Facebook Prayer for it's ubiquitous presence on the social media app the Serenity Prayer is more than one sentence long. Written by the theologian Reinhold Niebuhr as part of a sermon in the early 1930s, the Serenity Prayer has evolved and devolved over time with many drafts adding and omitting text through the years. In the days before the Internet the popularity of the Serenity Prayer arose through church sermons and newspaper columns that referenced the prayer without necessarily referencing Neibuhr as the author. During World War II, the Serenity Prayer was included in a prayer book for chaplains and servicemen while the USO distributed Serenity Prayer cards at its functions. How integral is the prayer to Alcoholics Anonymous? The intersection outside of the organization's world headquarters in New York City is named Reinhold Niebuhr Place.